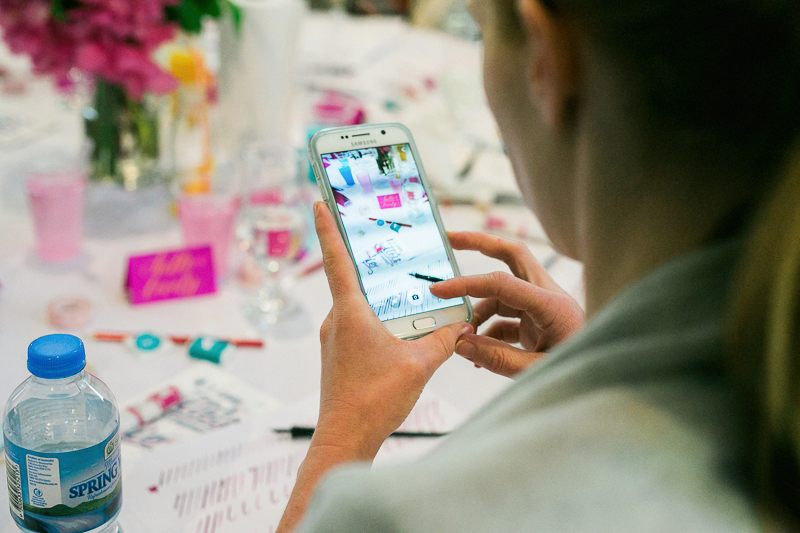 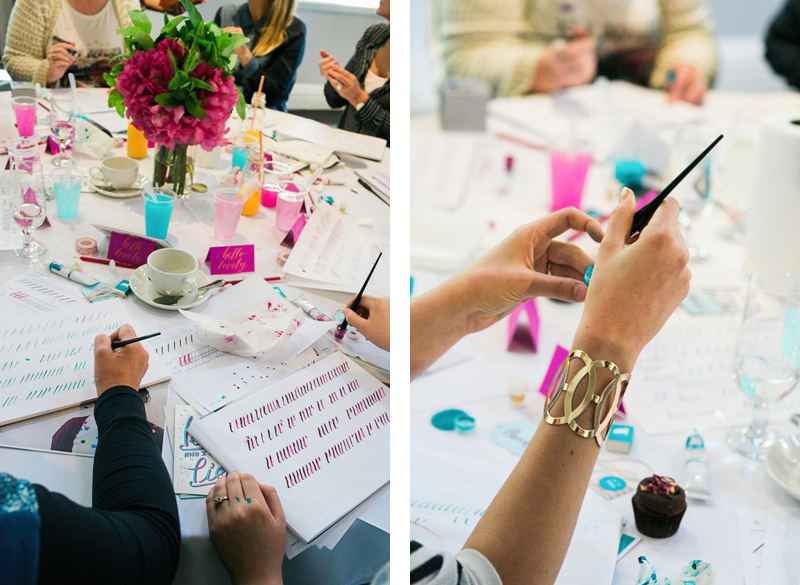 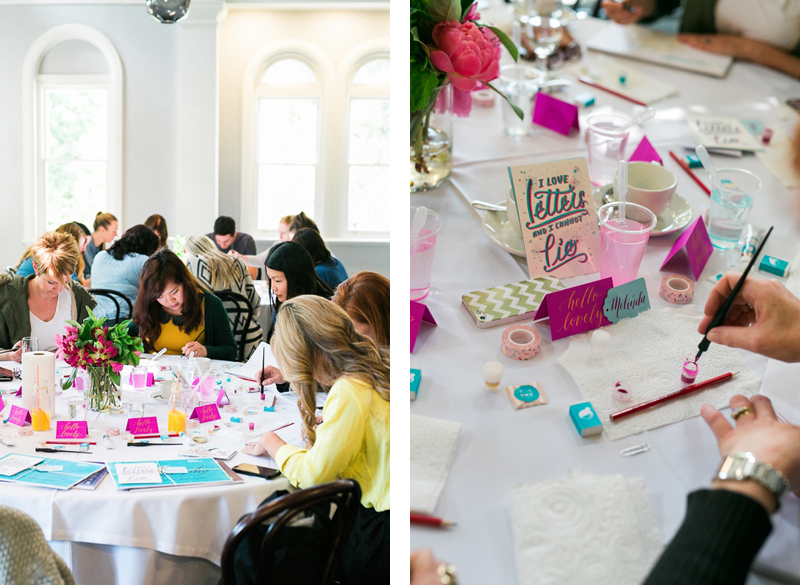 The ever-so-talented Lyn of Draw & Explore taught a lovely bunch of HOORAY! 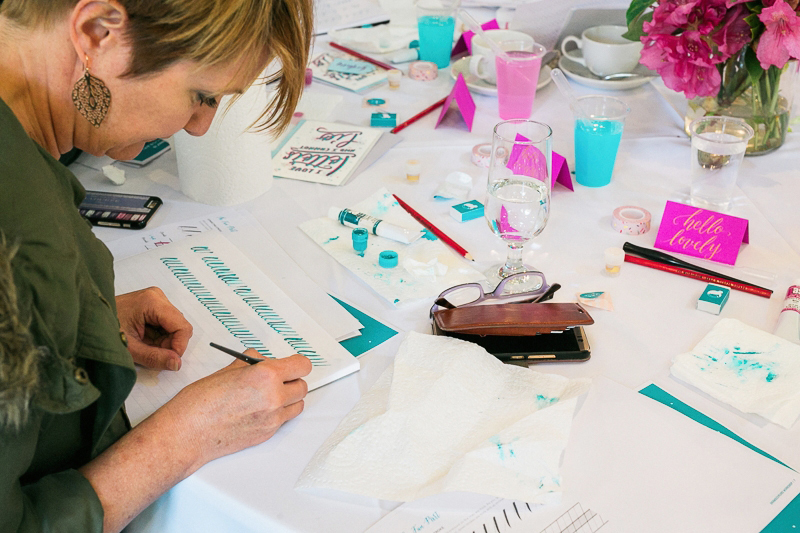 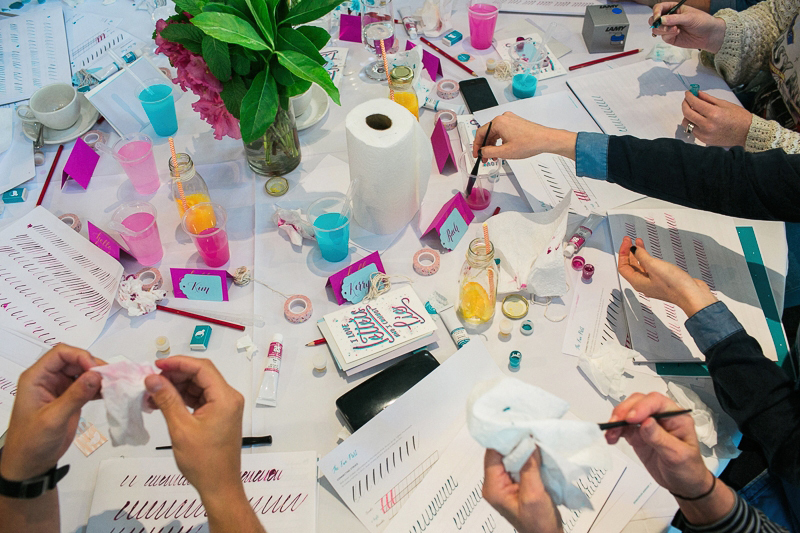 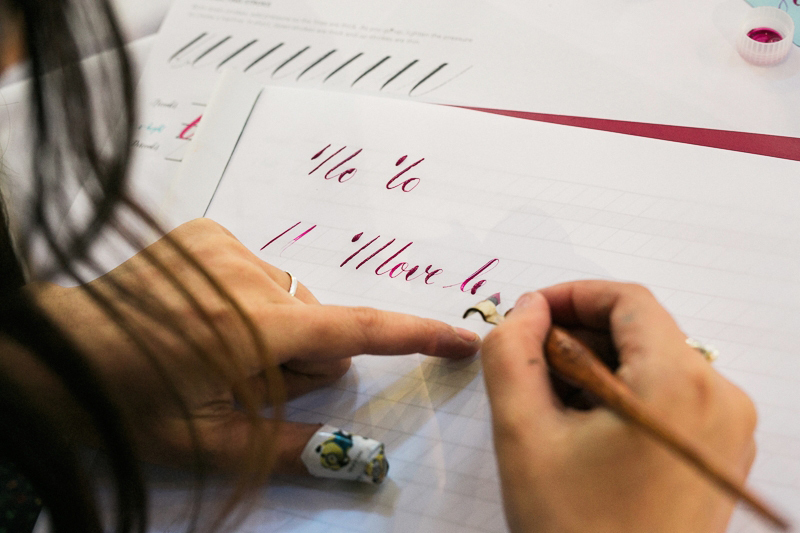 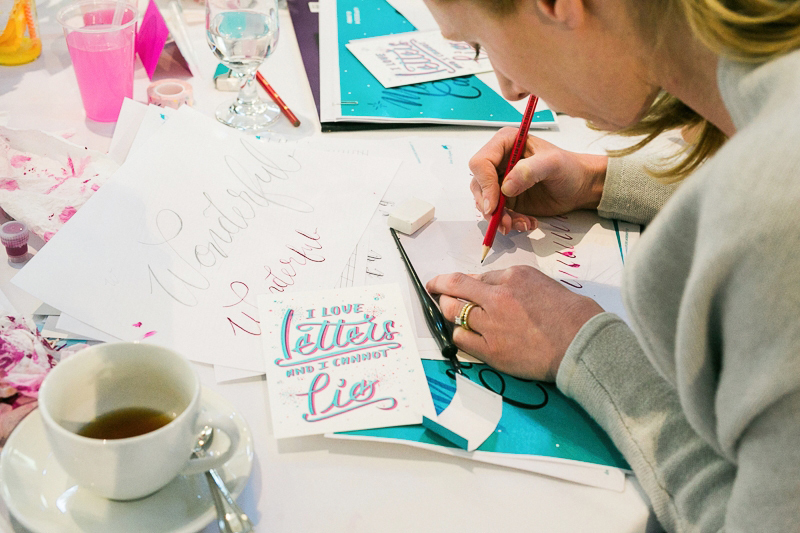 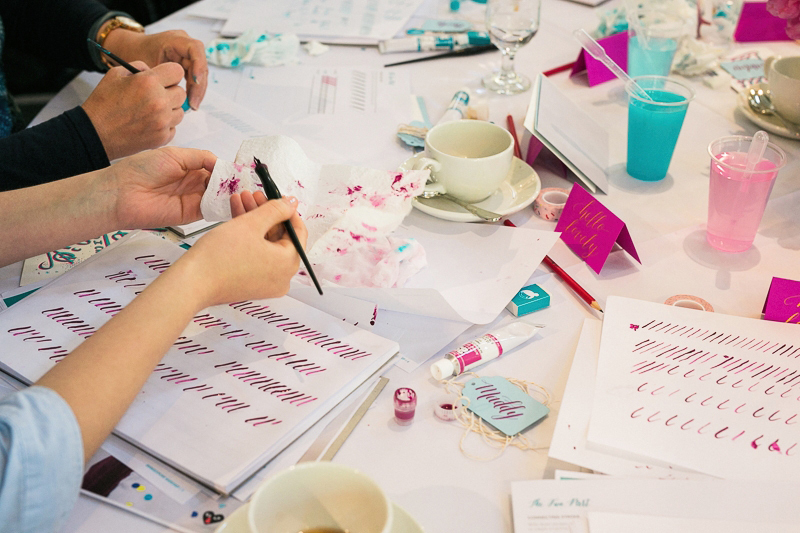 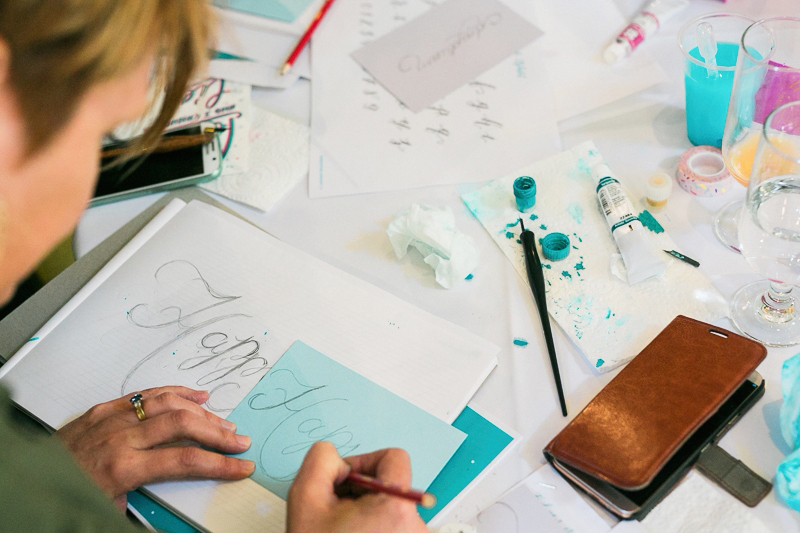 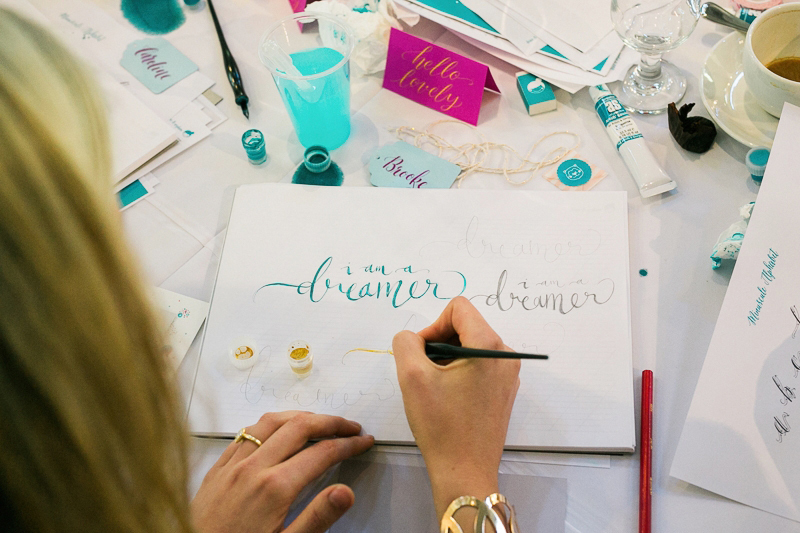 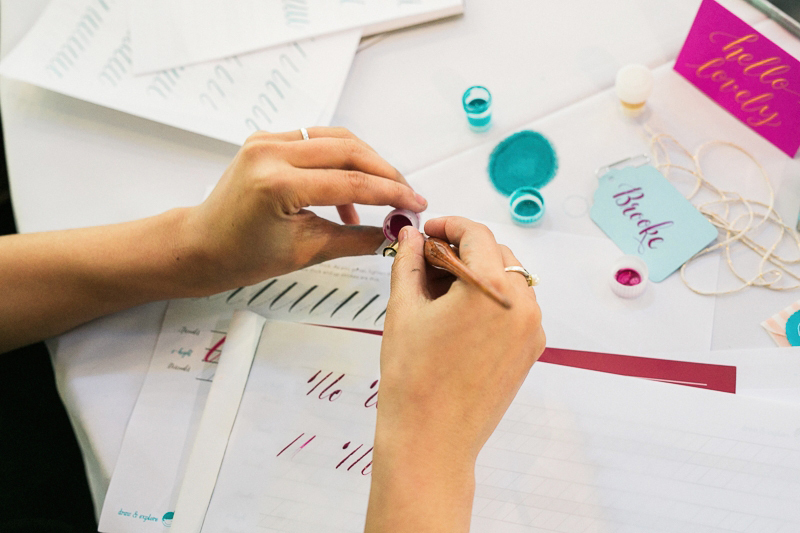 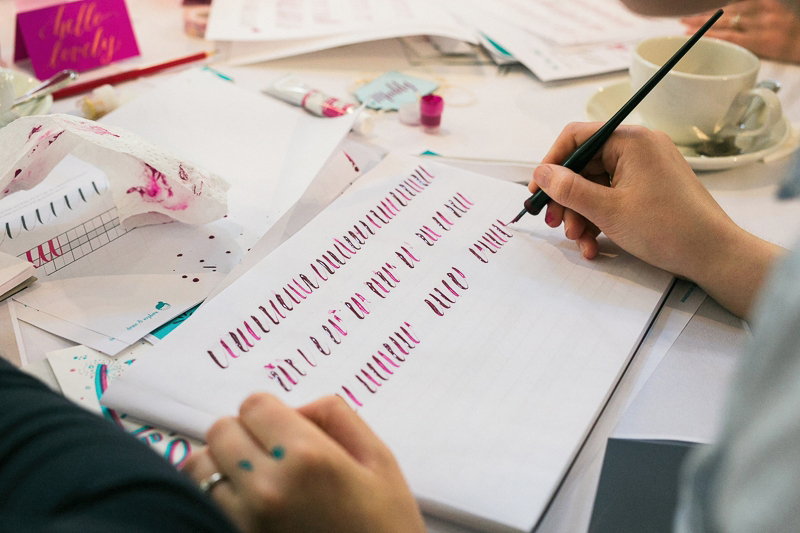 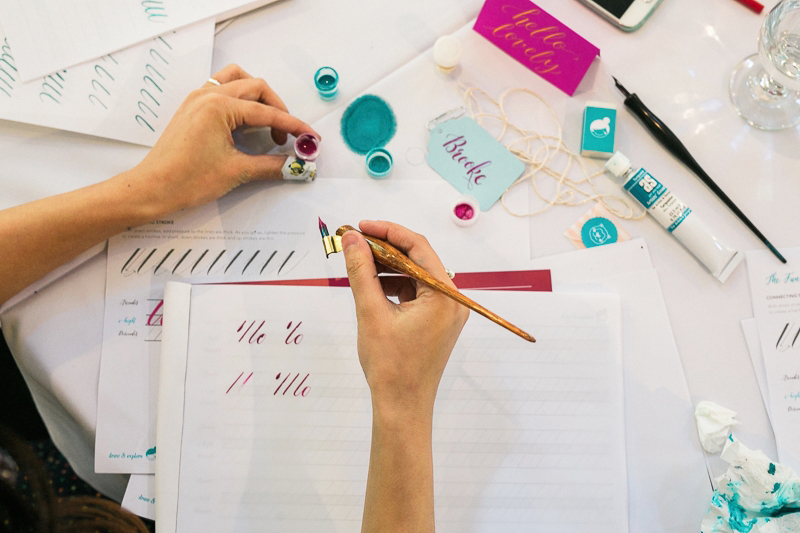 readers how to master the delicate skill of calligraphy. 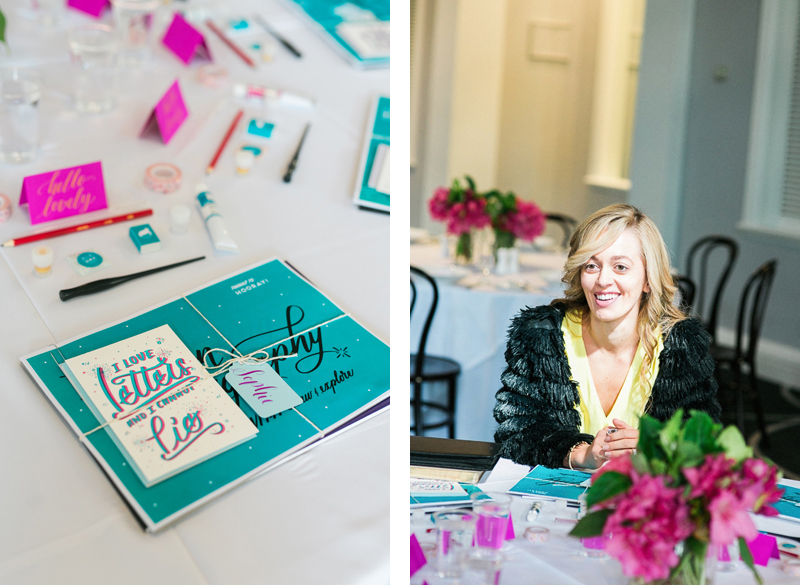 The day began with a beautiful delivery of blooms from the lovely Kate of Mary Mary Studio which perfectly complimented the super cute packs that Lyn from Draw & Explore had created for each of our guests. 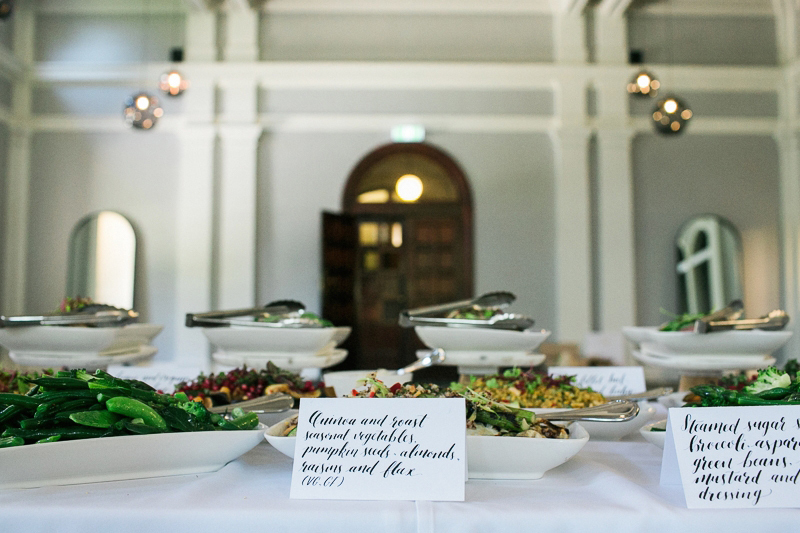 The Refectory was the perfect venue, with its large windows allowing a whole heap of natural light to shine in to the beautifully set room. 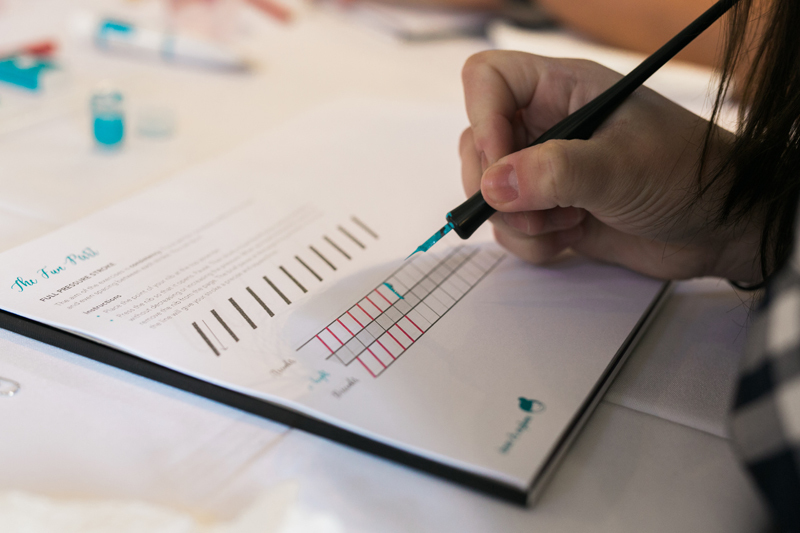 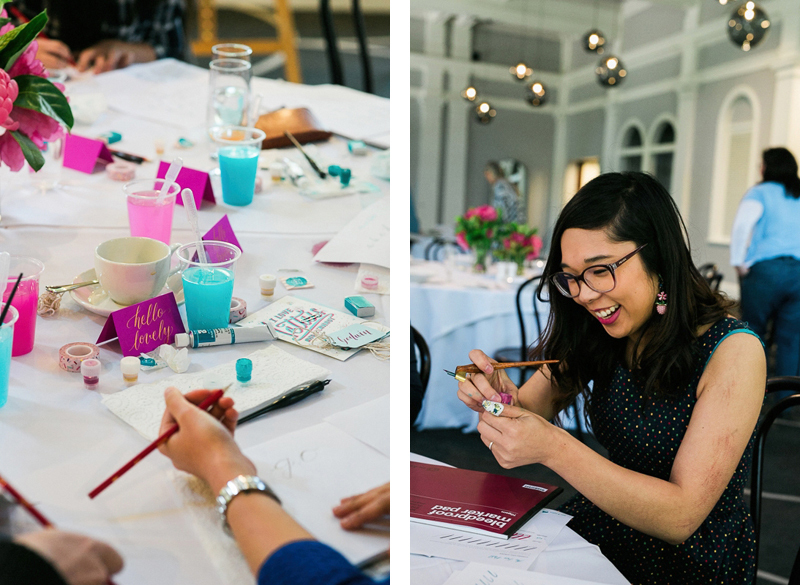 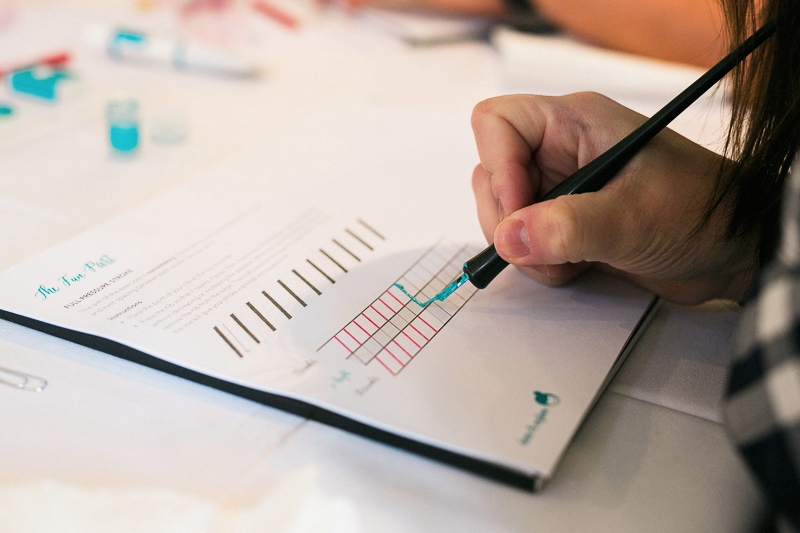 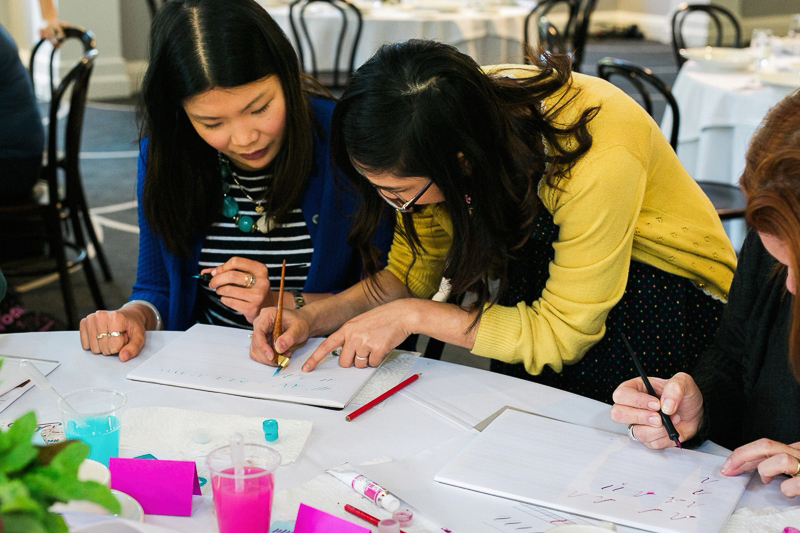 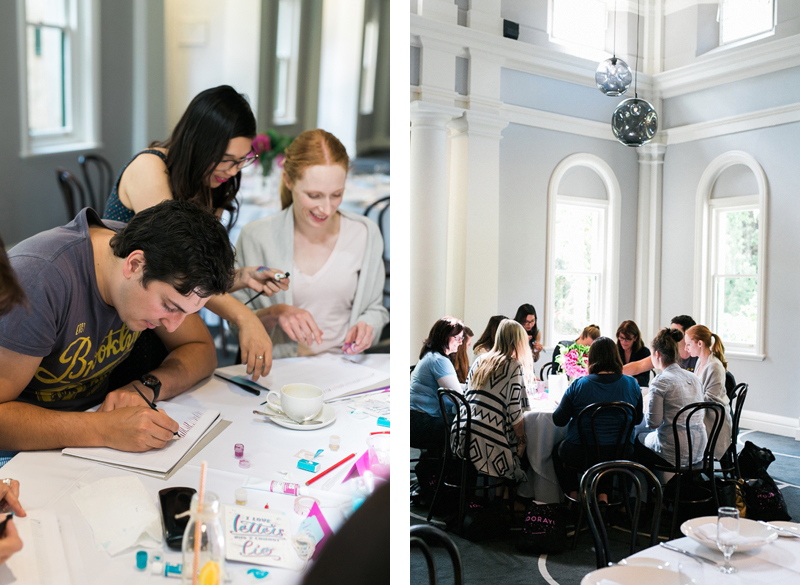 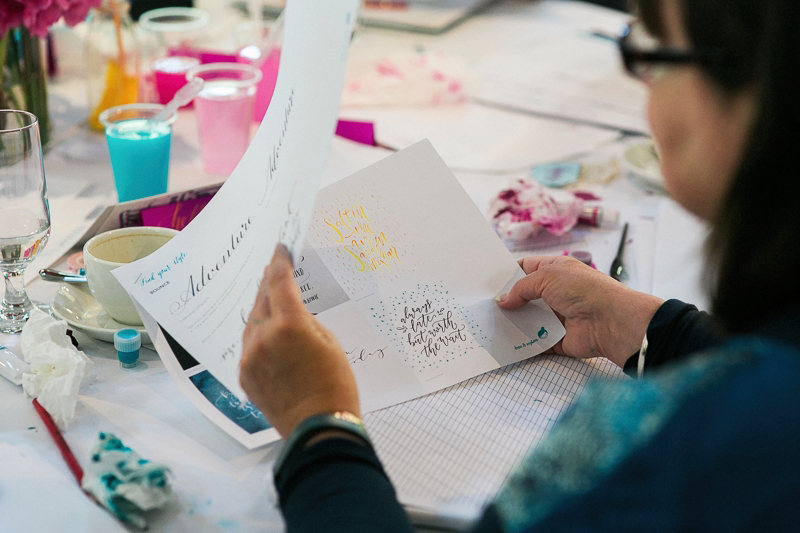 The guests began to arrive at 9:45am, and after wrangling a few that ended up lost in the beautiful gardens of Werribee Mansion our workshop with Draw & Explore was underway! 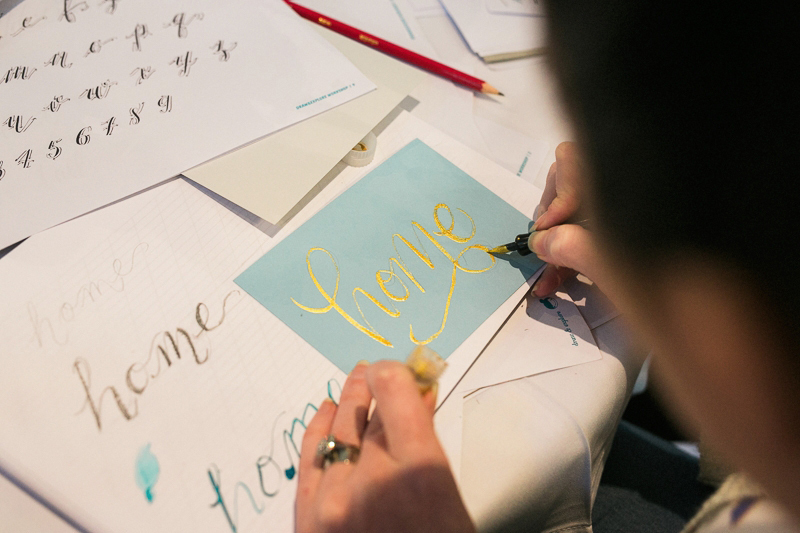 After a quick ‘getting to know you’ everyone was straight in to it learning the very delicate skill of Calligraphy strokes. 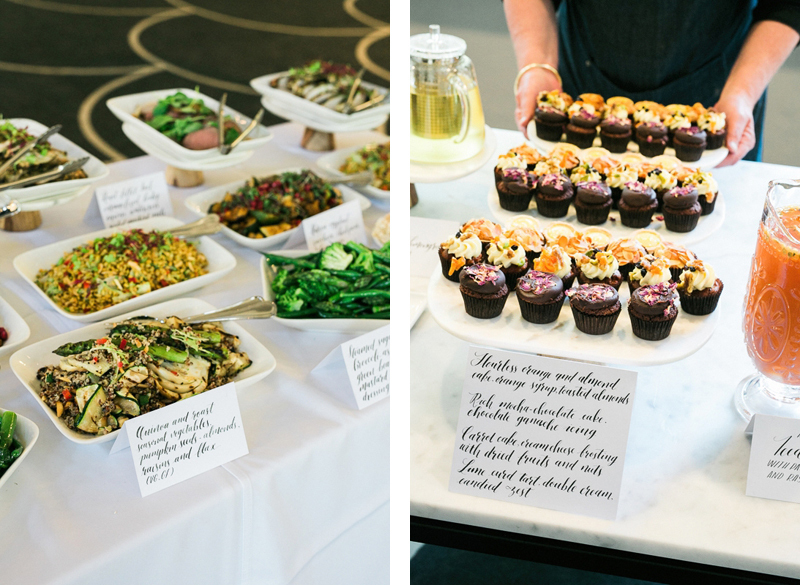 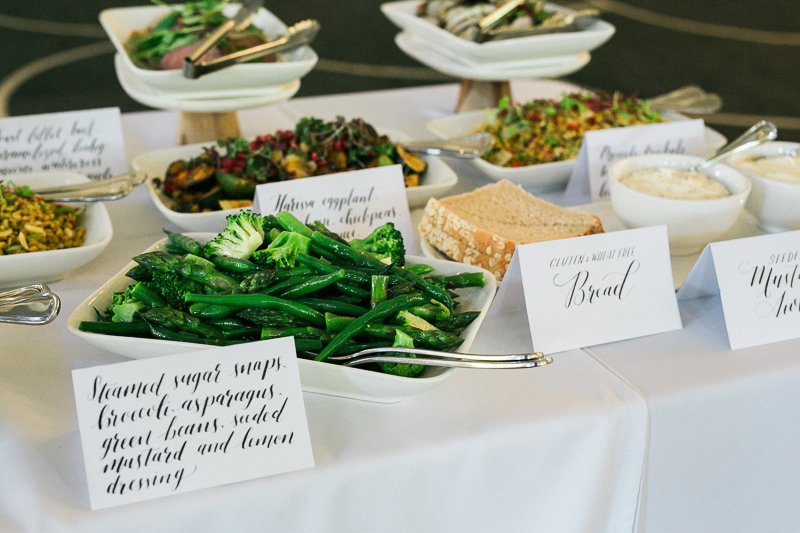 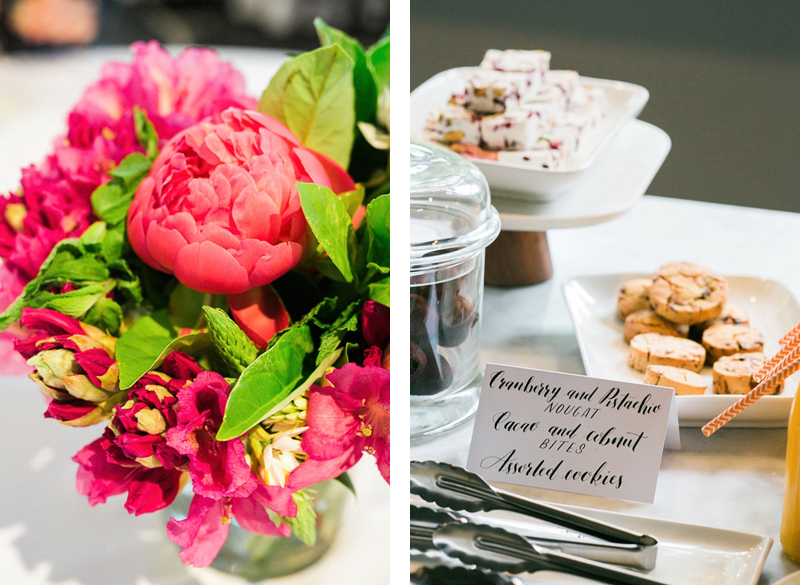 Before too long it was time for everyone to get stuck in to the delicious lunch that was provided by Bursaria which included Roast Fillet Beef, Lemon and Oregano Roast Chicken, an array of delicious salads and a few cakes and tarts for dessert. 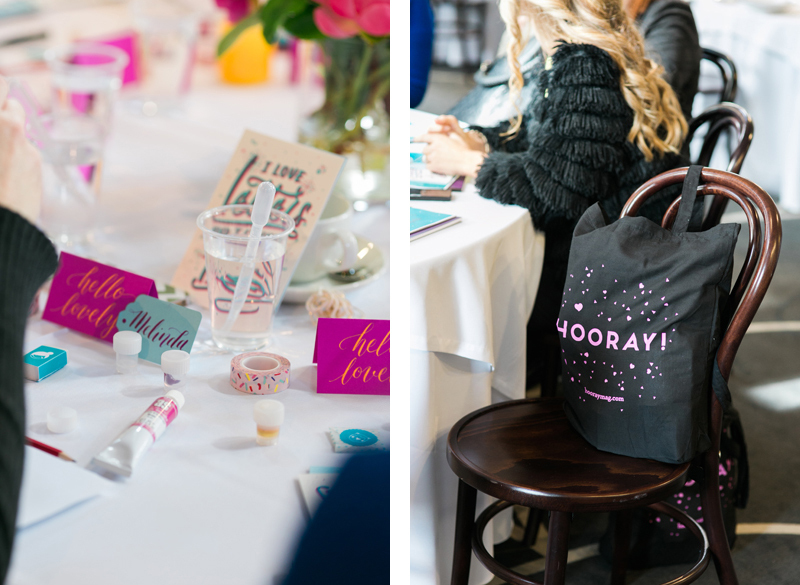 Everyone went home with huge smiles on their faces and a goodie bag filled with gifts from HOORAY!, Miss Biscuit, Notemaker, Bursaria and Violet + Rose. 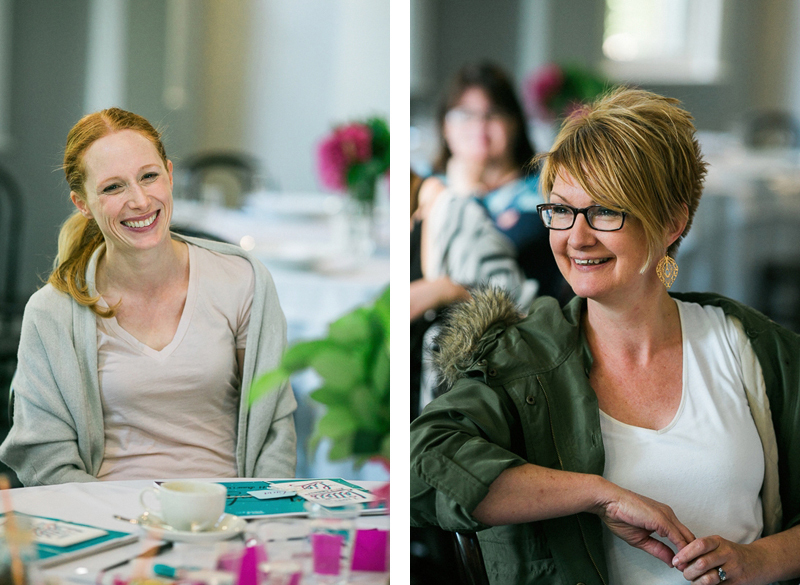 The day was a big success thanks to our wonderful event partners! 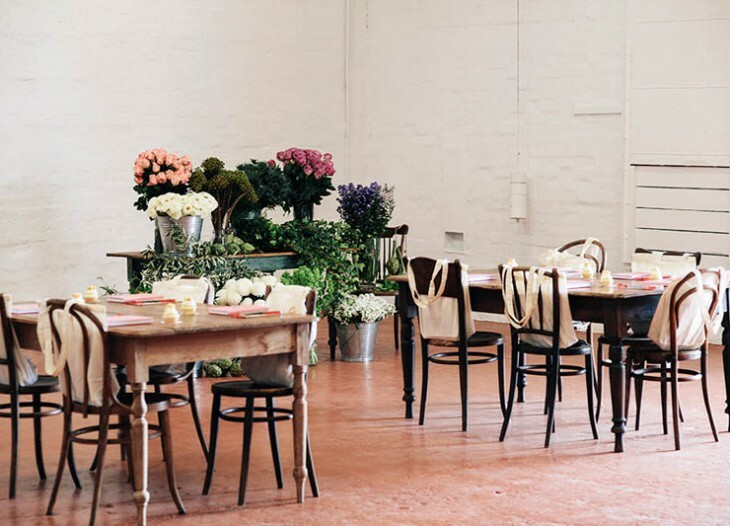 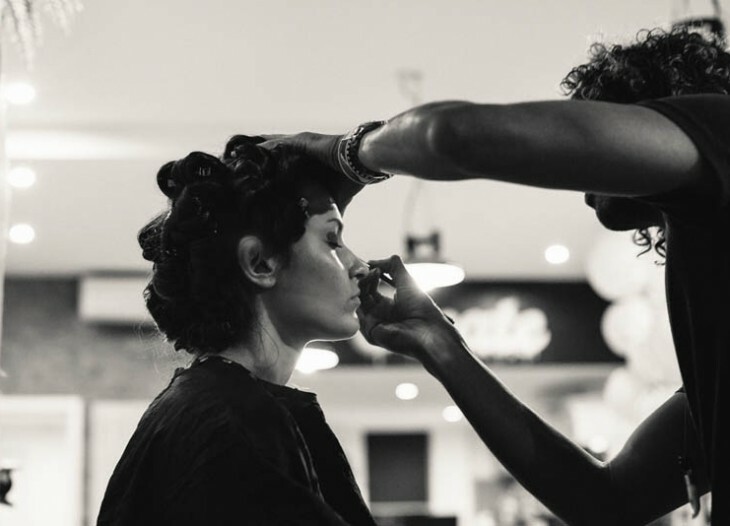 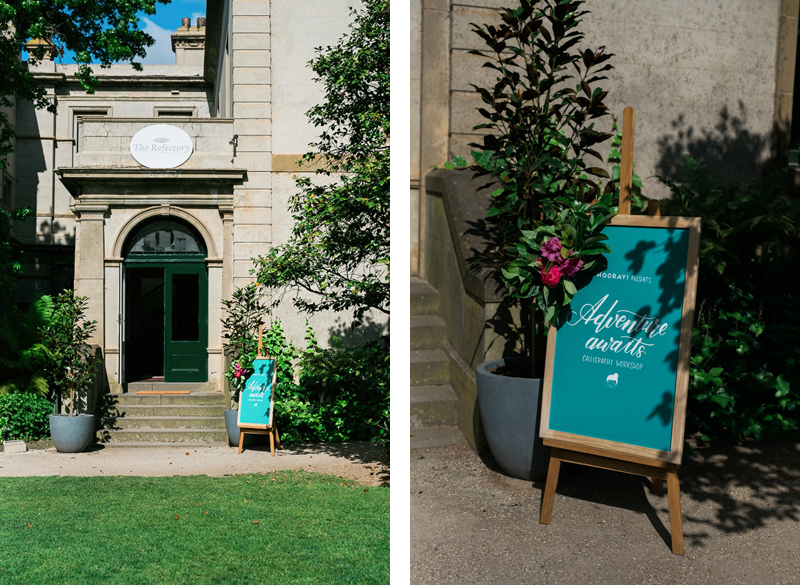 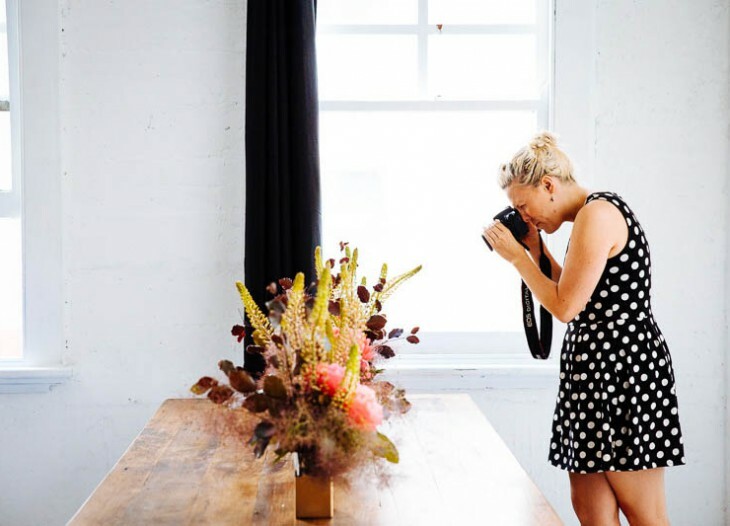 We send lots of love to our photographer Alli Oughtred, florist Kat of Mary Mary Studio, venue The Refectory, caterer Bursaria, and the wonderful bunch who contributed to our goodie bags Notemaker, Miss Biscuit and Violet + Rose, as well as Ritual Union who captured the day in video.